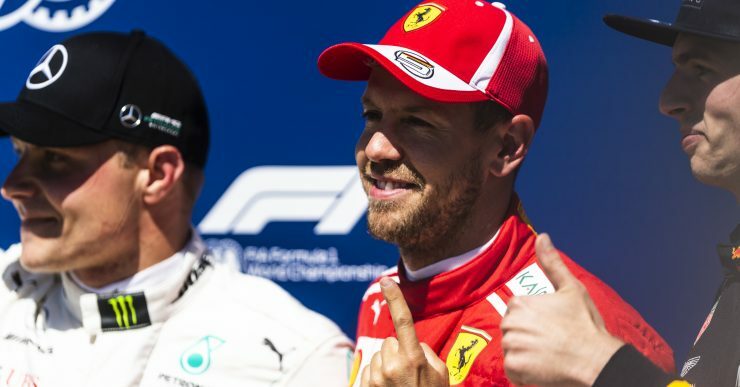 Sebastian Vettel eased to a comfortable Canadian Grand Prix victory, the second of his career and a landmark 50th altogether, as title rival Lewis Hamilton could only manage fifth. The Ferrari man was rarely troubled after leading away Valtteri Bottas and Max Verstappen at the lights. And that was the way the podium finished, Monaco GP hero Daniel Ricciardo finishing fourth ahead of Hamilton, Kimi Raikkonen, and Nico Hulkenberg. Carlos Sainz, Esteban Ocon, and Charles Leclerc rounded off the points scoring finishers. 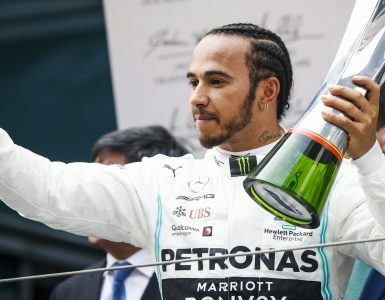 Victory for Vettel, added to Hamilton’s uncharacteristic poor showing at one of his favorite circuits, means that he now re-takes the championship lead with a one-point advantage over Hamilton. The start was another dramatic one. 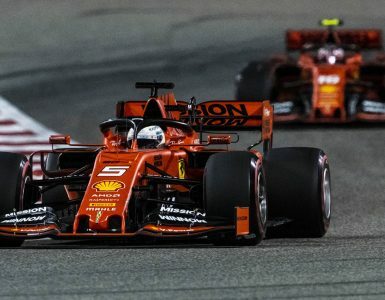 As Vettel confidently held on to his advantage, Bottas held off a wheel-to-wheel charge from Verstappen as carnage unfolded behind. Home favorite Lance Stroll seemed to lose the back end of his Williams and squeezed Brendon Hartley into the wall through Turn 5, both cars spinning out in a flurry of shattered carbon fiber and twisted metal. It was a frightening moment as the Toro Rosso’s nose appeared dangerously close to the Williams driver’s cockpit, as verified by the on-board camera. Thankfully, it was yet more evidence that the hotly debated Halo device is indeed an important safety innovation. Upon the restart there was more drama, Sergio Perez losing several places after contact with Carlos Sainz into Turn 1 and expressing his dissatisfaction in no uncertain terms. “What did Sainz do? He just took me off. He should be black flagged really,” said a flummoxed Perez over the team radio. Back at the sharp end of things, Vettel was going serenely about his business, building up a comfortable lead over Bottas, Verstappen, and Hamilton. Monaco Grand Prix hero Daniel Ricciardo and Kimi Raikkonen followed in close attendance before the first round of pit stops. Ocon was the first to stop on lap 12, shortly followed by the Renault of Nico Hulkenberg, the hyper-soft tyres compound past their sell by date at an alarmingly early stage of the race. And then came the big hitters, hyper-softs off and super-softs on as Verstappen followed Hamilton into the pits. But the real winner was Ricciardo, a fast lap and quick stop putting him ahead of the Englishman’s Mercedes. Vettel, still out in front, was told to switch to ‘Plan B’ whilst the master of Montreal, Hamilton, was bizarrely off the pace. It soon became apparent that his chariot was stricken with a cooling problem, the car overheating. During his pitstop, the team ripped off the cooling louvers to attempt to rectify the problem. But there was nothing stopping the German. Having taken his ultra-soft tyres to lap 37, 21 laps later than his major rivals, he left the pit lane as serenely and untroubled as a Swan on the Saint Lawrence River. 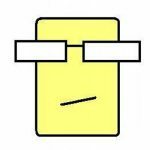 It would be a lead he would not relinquish. For Acronis tech partner Force India, the race promised so much. The team came to Montreal with the hope of bringing an upgraded front wing package. 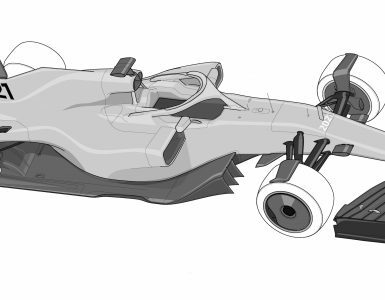 As quoted by Autosport, Technical director Andy Green commented; “We think now it [the wing] is ready to race, we just don’t have enough of them. We didn’t want to risk the wings until we have some coming through, which will at the latest be Paul Ricard. Next up, the French Grand Prix and the first Formula 1 race at the famous Paul Ricard circuit since 1990. See 2018 F1 Calendar.